My Ecology class with our professor Caroline Fox and TA Kylee Pawluk in front of The Great Tide Pool in the Broken Island Group, Barkley Sound. On October 24th my ecology class took part in the Defend Our Coast BC wide protests. Although we were unable to actually go to Victoria we participated in spirit by taking a moment to link arms in front of the ocean. 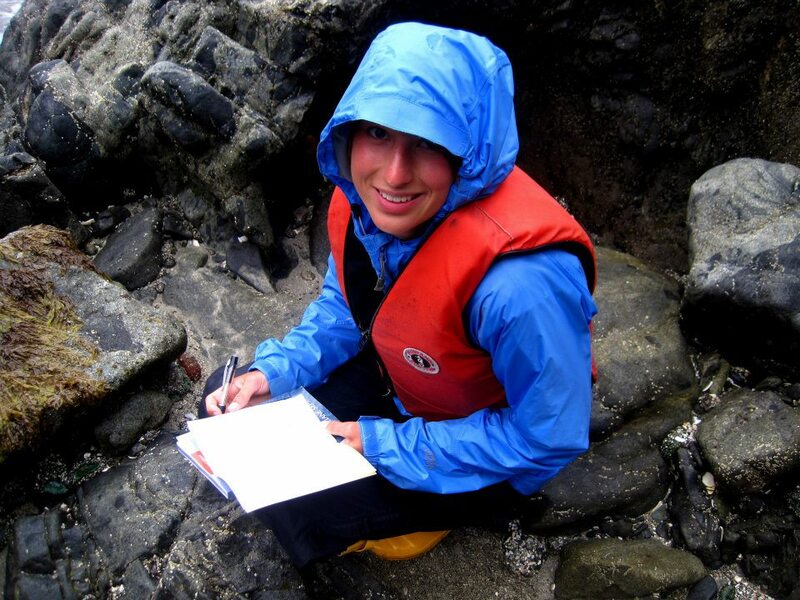 Go check out my guest post on The Madreporite, the Bamfield Marine Sciences Center blog, for more info. It’s that time of year: the temperature is dropping, the trees are changing colour, and students everywhere are submerging themselves in their textbooks and hunkering down for the winter. At Bamfield Marine Sciences Center we have just started our research projects and my classmate Sam and I have decided to team up! We have three separate weeks throughout the term set aside for our research projects, but can work on them in our free time as well. 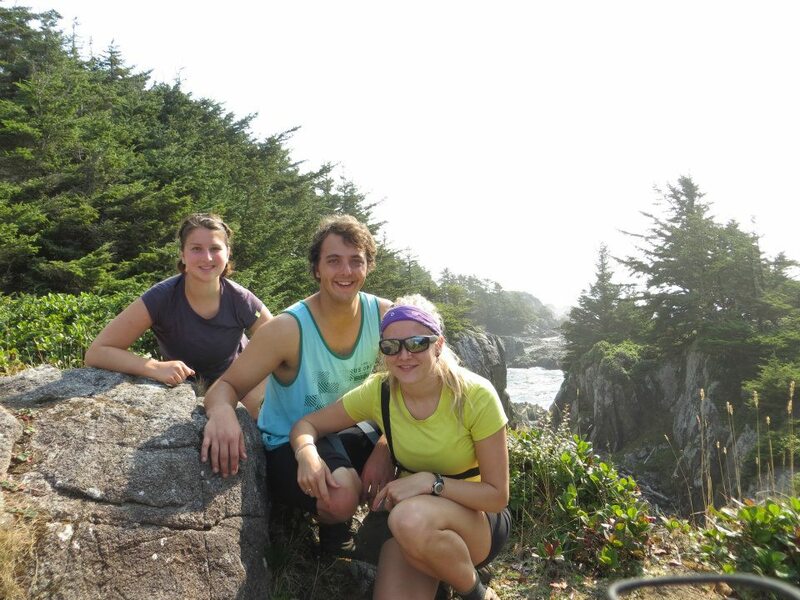 Sam is interested in algae and has been involved with the Martone lab at UBC researching seaweed biomechanics and I am interested in invertebrates and biomechanics. So we began talking to other scientists around the marine station and brainstorming. Life in the intertidal is very stressful for many reasons. Some of them are chemical, as I discussed in my research this summer, and some are physical. 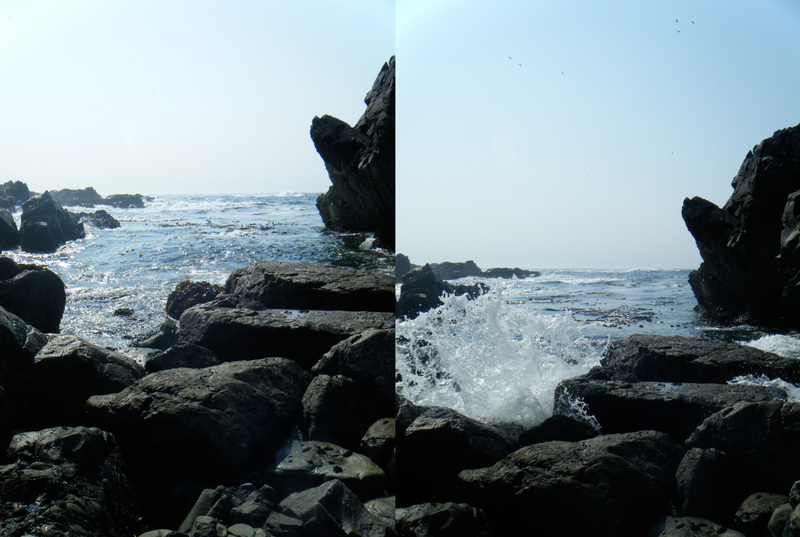 Waves in the intertidal can be huge and put a lot of selective pressure on both animals and algae living there. One problem with these wave forces is dislodgement. If you are an alga or animal trying to live in these high flow areas you have to be able to hold on or you could easily be swept out to sea. One of our smaller questions within this involves the trade off between food choice and habitat. In life there are always trade offs. 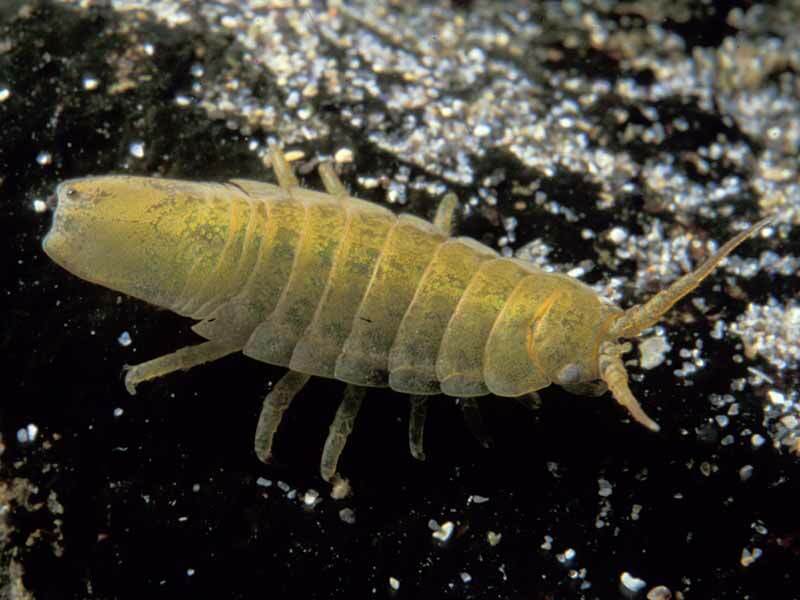 Just as we have to balance love of chocolate and daily caloric intake, herbivores in the intertidal have to balance nutritional value and safety from wave forces causing dislodgement. 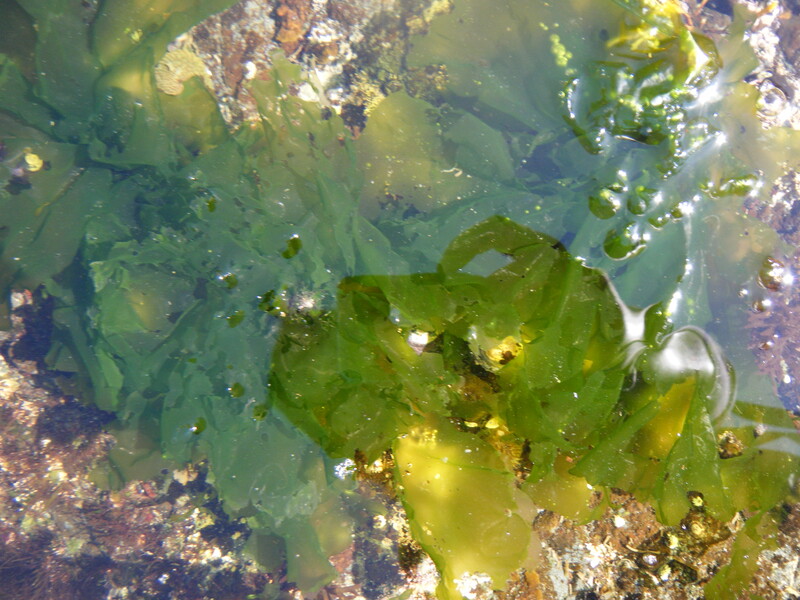 There are many different algae in the intertidal offering different protection and nutritional advantages. We want to test the trade offs involved in feeding and habitat preferences of Idotea. We’re using the algae Macrocystis, Fucus, Porphyra, and Ulva in our study. 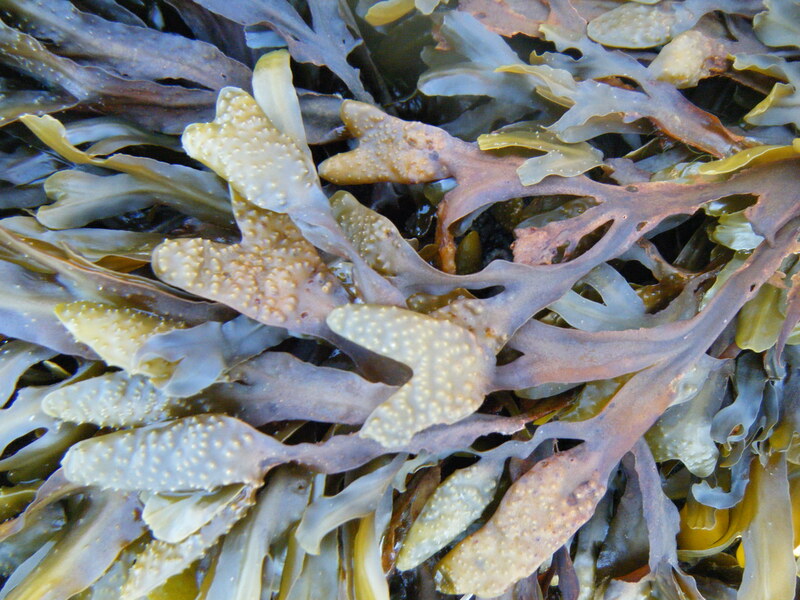 We believe Ulva, a thin green blade like algae, will be a preferred food source due to it’s high nutritional value, but Fucus, a thicker branched brown algae or the kelp Macrocystis will be preferred as habitat. Idotea may be able to attach with more force to Fucus or Macrocystis than Ulva and, in the case of Fucus, be more protected from wave forces. Over the next few weeks we will be grinding up algae and feeding it to Idotea to see which they prefer as a food source as well as placing Idotea in tanks with un-ground algae in flow and seeing which algae they prefer as habitat. As far as our other hypothesis and experiments go we have quite a few ideas and I think we are going to get some very interesting results. Hopefully we’ll even get to play around with the flume! I hope everyone enjoyed their Thanksgiving weekend! When I told my neurologist that I was interested in conservation genetics he told me, rather unenthusiastically, that it sounded like I just threw some words in a blender and pulled those two out. This is just one example, but a lot of people don’t understand how genetics and conservation go together. Genetics is a rapidly evolving field providing insight into speciation and differences between individuals and populations. It can be applied to any living system and to me it is the perfect blend of biology, chemistry, and math. My brother will attest to this, I am a total granola crunching hippy at heart. I love the environment and anything conservation related and I think most of us can agree that protecting our environment and conserving biodiversity is extremely important. But how can genetics help conservation efforts? I think the real world contributions that this relatively new field of study has already made are the best way to illustrate it’s importance. 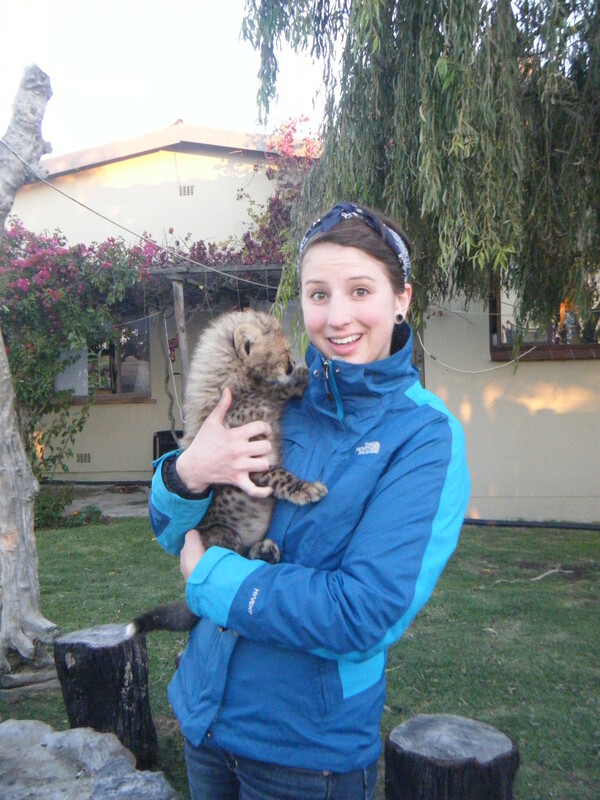 Me very excited to be holding an 8 week old cheetah at the Garden Route Game Lodge in South Africa. My second favourite animal, cheetahs*, are very inbred. The 10,000 that are left share 99% of their DNA between individuals! The low genetic diversity makes the cheetah population very susceptible to disease and extinction. By using genetic analysis to look at how closely related individual cheetahs are, cheetah breeding projects are able to breed selectively as an attempt to reintroduce genetic variation back into the population. Michael Russello, my UBCO ecology professor, really got me interested in conservation genetics. I was working at CrocTalk with Sulcata tortoises and taking his ecology course when he told us about some of his research. One Galapagos tortoise, Lonesome George, was thought to be the last of his species from Pinta island as of 1972. 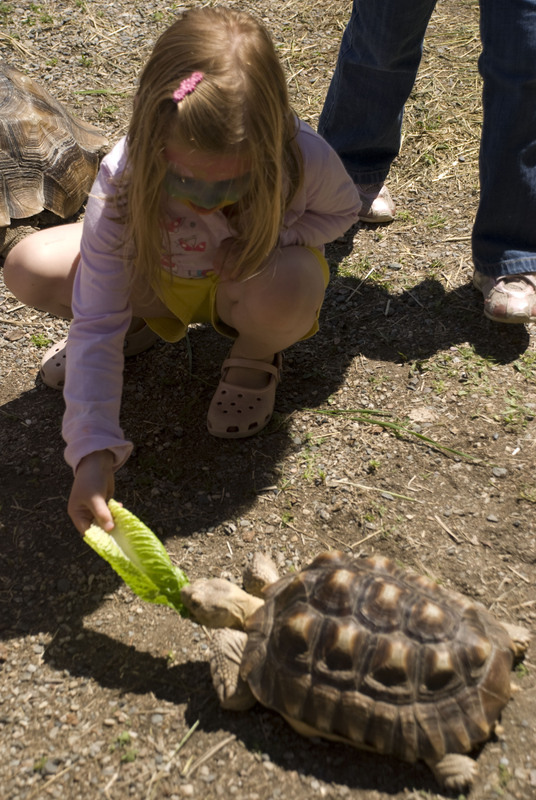 This prompted a study to look at tortoises on other Galapagos islands for relatedness to George. Because tortoises were shuffled around quite a bit by ships there are quite a few individuals sharing some of Lonesome George’s DNA. Although Lonesome George died in 2012 without reproducing, selective breeding could be used to reintroduce tortoises to Pinta island and potentially restore the ecology of the island to it’s previous state. Lonesome George lives on via bits and pieces of his genes in other individuals. Terrestrial and marine, the Palumbi lab at Stanford University has quite a few interesting genetics projects. One of these is estimating past population sizes of whales. This is important for management and conservation of current populations. 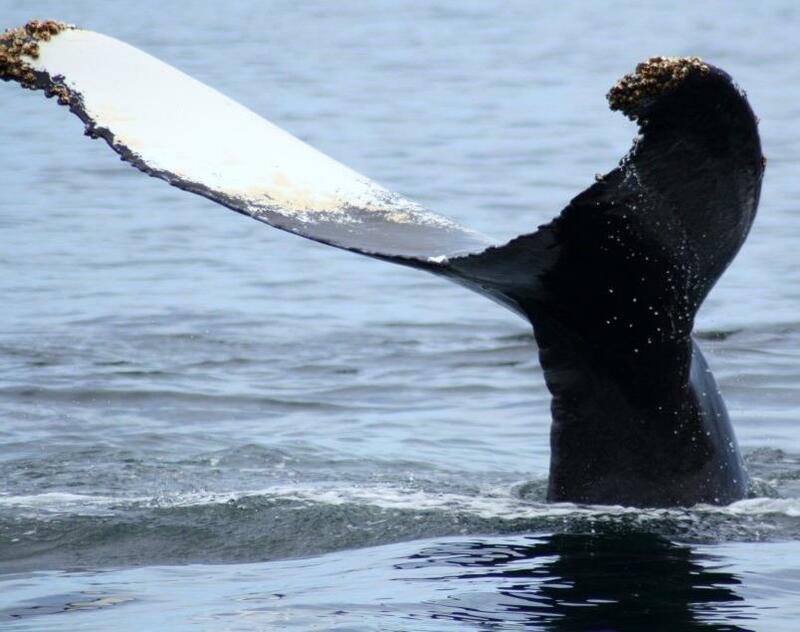 They are using current levels of genetic diversity along with known mutation rates to look at what the whale population was like before whaling. So far their numbers have increased previous estimates by up to ten times! These numbers could completely change our thoughts and approaches to whale related conservation and management. 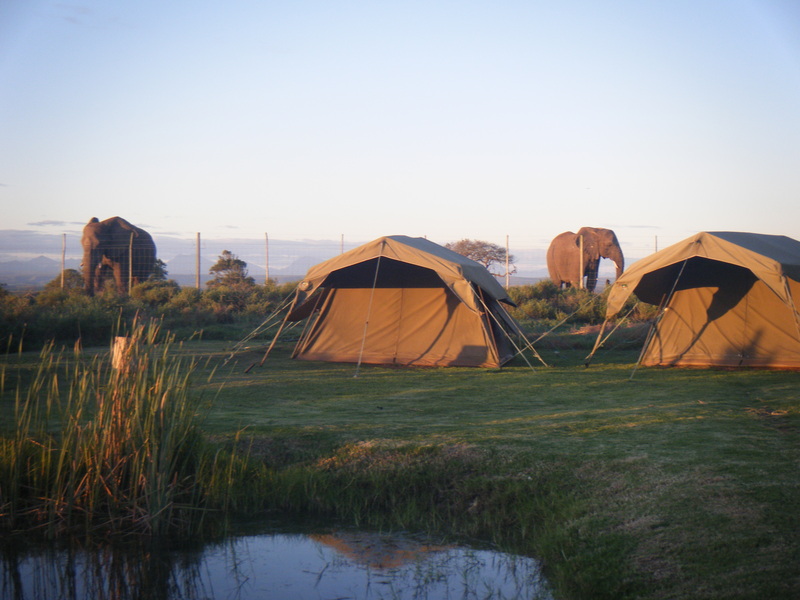 Elephants behind the volunteer camp at the Garden Route Game Lodge in South Africa. This is the second of my examples which relates to charismatic African animals. You can see where my mind is… In a little over 30 years the elephant population in Africa has declined from 1 million to 470,000 and poaching is very quickly approaching it’s highest ever rate. Samuel Wasser at The University of Washington works with ivory to determine where it is from. By comparing the tusk DNA with that of DNA found in elephants Africa it is possible to determine poaching hot spots and increase conservation efforts in these areas. I love this project particularly because it is non invasive. They are using feces for the population DNA samples instead of using invasive genetic sampling techniques. These are only a few examples of how genetics are used in conservation efforts. This field is relatively now and growing rapidly as technology improves. It shows a lot of promise in assisting global conservation efforts. *My first favourite animal is a platypus, in case you were wondering.